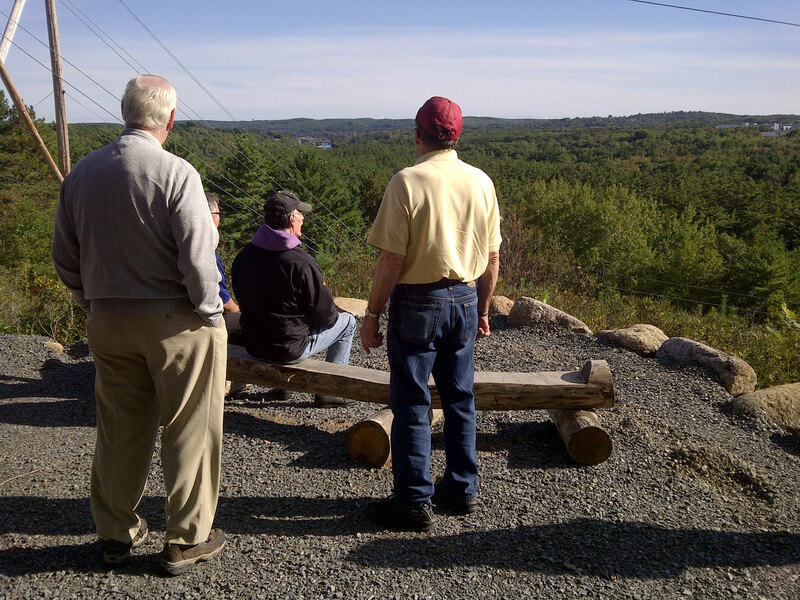 Through a partnership with the Best Western Cookville, the Arthur Young Trail was officially opened in 2012. Arthur Young served 42 consecutive years as Councillor for the Municipality of the District of Lunenburg. The name was chosen by a student at Newcombville Elementary to recognize Councillor Young’s last year of service prior to retirement. There is ample parking at the trailhead, adjacent to the Best Western on Trunk 10. At first, the trail follows a ridge high above the LaHave River, through forests of tall oak trees. The trail is surfaced with fine gravel, 10 feet wide, and is designed for multi-use; users can expect to see Off-Highway Vehicles (OHVs). After a breathtaking scenic view over the LaHave River Valley and the Town of Bridgewater, the trail turns to a series of switchbacks through a mature pine forest as it winds downhill towards the river. Several benches are in place to take a rest – it is easy to go down but a bit more challenging to go up! 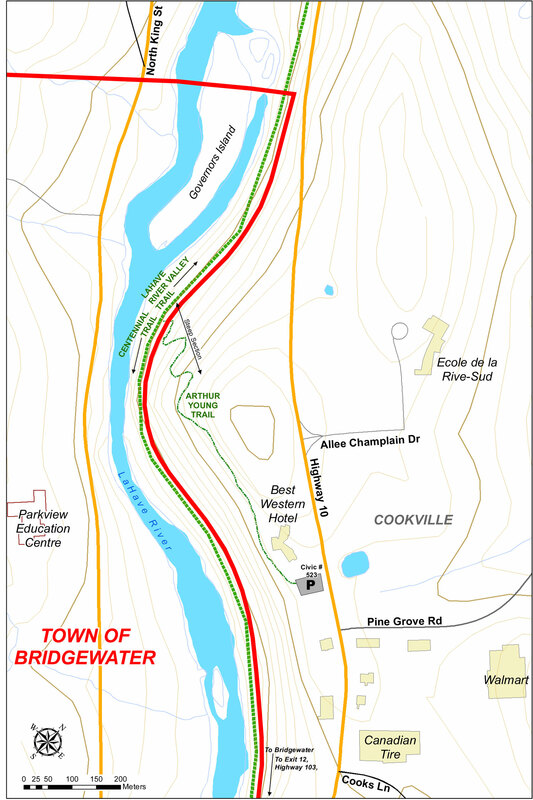 The Arthur Young Trail joins the Centennial Trail, connecting to the Town of Bridgewater on both sides of the LaHave River. 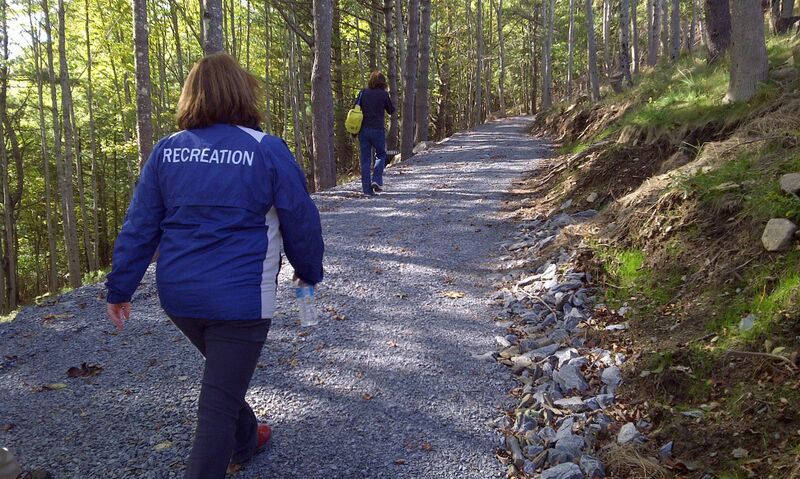 Heading north, users can connect to the LaHave River Trail which leads to the Cookville Provincial Park, and to the South Shore Annapolis Valley Trail. The Best Western Cookville welcomes and encourages Off-Highway Vehicle users to stay at their hotel. OHV operators can find on-site, secure parking facilities, heated storage spaces, machine clearing facilities, and restaurants and services within a short walking distance from the hotel. The Arthur Young Trail, as a multi-use trail that leads to destinations across the municipality, is an important location for OHV access for residents and visitors alike.